How do snow crystals form? What shapes can they take? Why do star-shaped snow crystals usually have six arms? Are no two snow crystals alike? These questions and more are answered inside this exploration of the science of snow, featuring photos of real snow crystals in all their beautiful diversity. 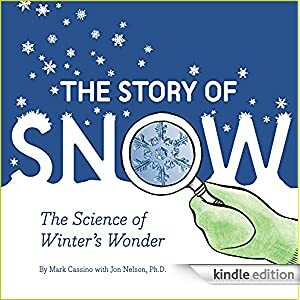 Perfect for reading on winter days, this book by a nature photographer and a snow scientist will inspire wonder and curiosity about the marvels of snow. And for those inspired to collect and study their own snow crystals, there are snow-crystal-catching instructions in the back. Suitable for grades 2-4, this book is available today for the Kindle for only 60 cents.